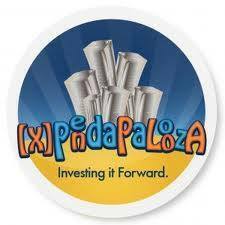 [X]PendaPalooza 19: [X]tended until March 1 with pie, eaves, missions, investments, and gifts! [X]PendaPalooza will run for 72 full over 100 hours. Players have from Friday February 26, 2016 1000am E.S.T. to Monday February 29, 2016 at 1000am E.S.T Tuesday March 1, 2016 at 7:00pm E.S.T. to connect with new players, reconnect with old friends, and build wealth. [X]tra [X]eaves are extended through March 15, so you can continue to send and collect for two full weeks after the event! This is the nineteenth event of its kind - a carnival of buying and spending that helps newer players dramatically improve in wealth, and older players find new investments, and allows everyone to broaden their networks. There will be TWO streams open: one for those with UNDER 2,000,000 shares Outstanding (i.e., how many shares of your stock have been sold), and one for OVER 2,000,000 shares Outstanding for the more experienced players. When [X]Pendapalooza 19 officially opens, you can post your ticker. You WILL NOT be able to post your ticker until the event actually begins. There is NO requirement right now to sign up, but you will need to be a member of this group once the event is underway. In addition, several folks will be running [X]Pendapalooza NINETEEN (19) specific missions in conjunction with this event. Ron Heigh (e)PWND and John Gushue (e)JOHNGUSHUE should be credited with the organization of the 1st [X]Pendapalooza along with collaboration from (e)ADRIEL, (e)EDUPRENEUR (e)REIGN, (e)BEN, (e)ALLIE,(e)CLATKO (e)FEEDTHEWORLD and(e)NORTHLANDFOX. The first one was held in May 2011 - and just for a few hours. We all had so much fun, we vowed to do it again. The full-day format soon followed. This is the 2nd time the event has been 72 hours! This is the 19th time this event has been done over a 5 year period. It is Empire Kred's 1st community, member driven event. 8. Do I have to stick around the full 72 hours? Selloffs are a hazard everywhere on the Avenue. We prefer to see this as a way of making contacts ... and HOLDING them. Being a good investment should keep your shareholders around (did we mention the importance of shout-outs, and how they help your Empire Kred score and dividends?) for the long run. By clicking on your Social Stock profile on Empire Kred.